I just returned from a fantastic 3 week journey travelling by foot and bus around Iceland. The culture is fascinating and the landscapes are bizarre. I took 2932 photographs, an average of 140 per day. There was no one best shot - this photo represents the name of the island. There is actually more green than you would imagine. It never got dark, and except for the "piss poor" weather, it is a photgrapher's paradise, with sunsets lasting for 3 hours. 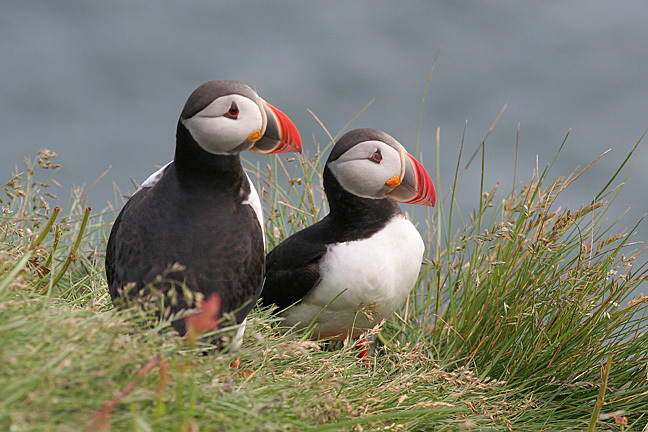 A trip to Iceland is not complete without some Puffin viewing. Anyone who does not understand the allure of birdwatching will quickly see the light after spending an hour watching these birds guard their nests, fish for their young, and battle aggressive seagulls. Although the photo was taken on the main island of Iceland, the Westmann Islands in the south host over 3 million birds. Gourmets can purchase them lighlty grilled in the few restaurants on Heimaey, the largest of the Islands. Price for 1 small puffin breast: 2,750 IKR, about $36 US. No, I did not eat one. This may have been the first time in my travels that I did not sample the local fare. 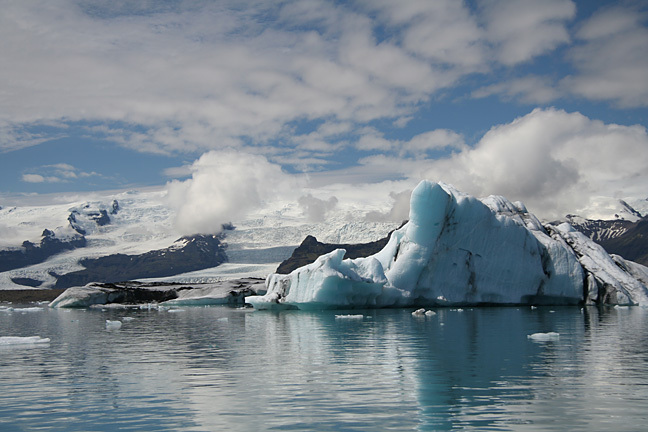 I made up for it a few days later by eating Hákarl, putrefied shark meat (sorry, no photo). A note about the "Picture of the Week": I originally started this exercise as a way to discipline myself to keep shooting, figuring one gets better at one's craft with continual practice. Each picture I have posted was taken with the 7 previous days. Afer taking nearly 3,000 photos in the previous 4 weeks, I have not pushed the shutter button once since I returned. It's too much fun to review, organize, and tweak the pictures I have, plus it will be more interesting for you to see some fresh views of far away lands.